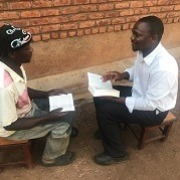 One of the pastors we support in Malawi has recently travelled to Mozambique to minister to the people in the north of the country. Pastor Francis takes up the story of his mission. "This ministry of sovereign world trust is a blessing to my life and the ministry and it's my prayer that God should meet this ministry at the point of it's needs for His Glory. Last year was a year of breaking new ground in the service of taking the gospel to the unreached people groups. I have been to Mozambique for several months as my new mission field and come April 2019, I will be fully settled in Mozambique among the Yao people groups in the north of Mozambique. 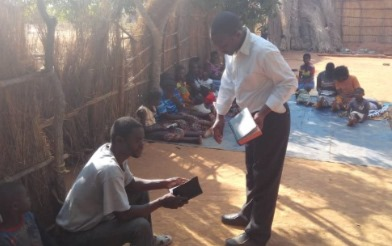 The books have contributed a huge impact in discipling to the new converts in Mozambique. This is a big blessing to me as a missionary. May God bless you richly." 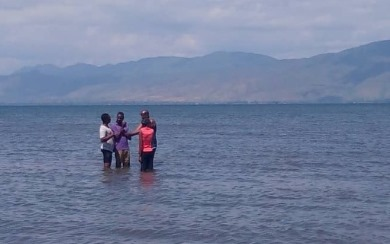 Pastor Francis also sent us some wonderful photos of his Mozambique baptisms and Bible teaching.